A couple of months ago Rhett's sweet mama called me for a session - we took some inside portraits and then headed outdoors to sweat it out with the little guy. Don't you just love these cutest little props that his mama made and brought to the session?! And of course we couldn't leave big brother out. Look at that brotherly love! 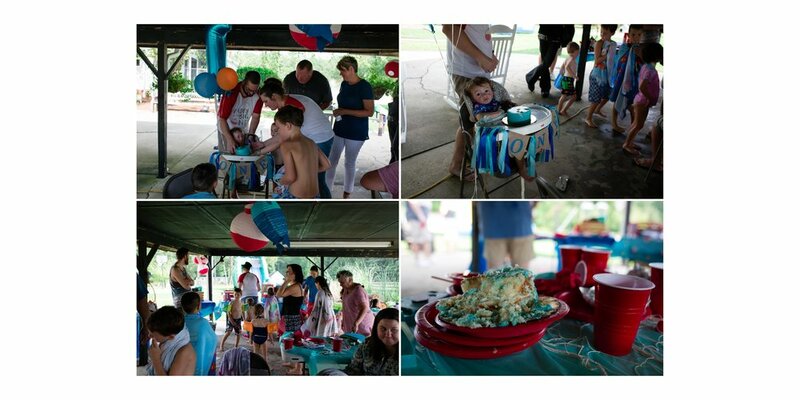 The pictures were perfect for the invitation to Rhett's First Birthday Party .... Gone Fishin'! The attention to detail was amazing! From the cake and smash cake from Simply Cakes to the tackle box full of fishin' worms for the kids to fill their own adorable tackle boxes! The party had everything a first birthday in August should have! Lots of family and friends and snuggles and cuddles! And lots of water and snacks to stay cool in this North Carolina humidity! 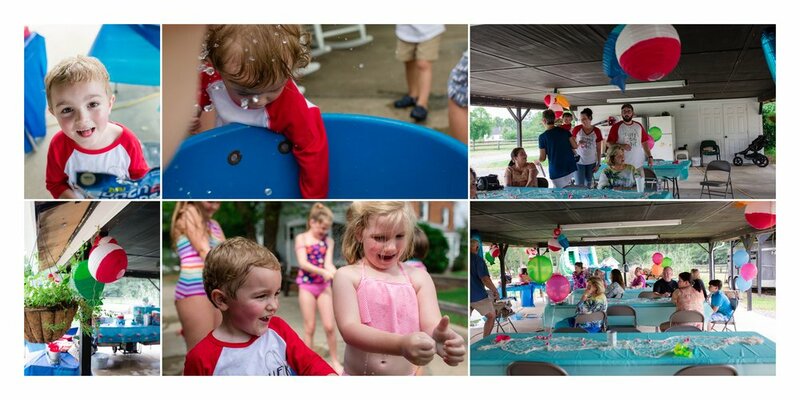 Between the water balloon fights and the water slide and inflatable from F&W Playhouse, I don't even think the kids wanted to get into the pool! 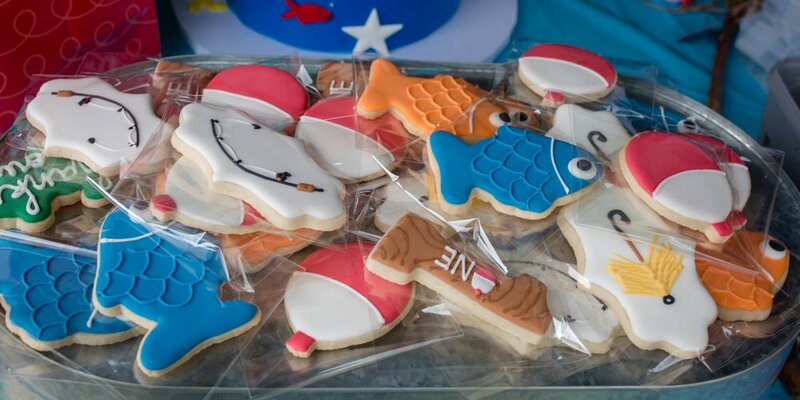 Millie's Mama Bakes didn't disappoint with these gorgeous and tasty cookies for party favors along with their mini tackle boxes full of worms! And just when it seemed like there couldn't be any more fun, there was a food truck for everyone to enjoy from Nc Wings & Things Llc . What's a party without cake all over?